God by nature is the Creator. Every man woman and child is unique, created in God's image and yet different than anyone else. Even identical twins are different in ways too numerous to mention. Just as every snowflake is uniquely different, so are you and I. So is the creative ability He has given each of us. 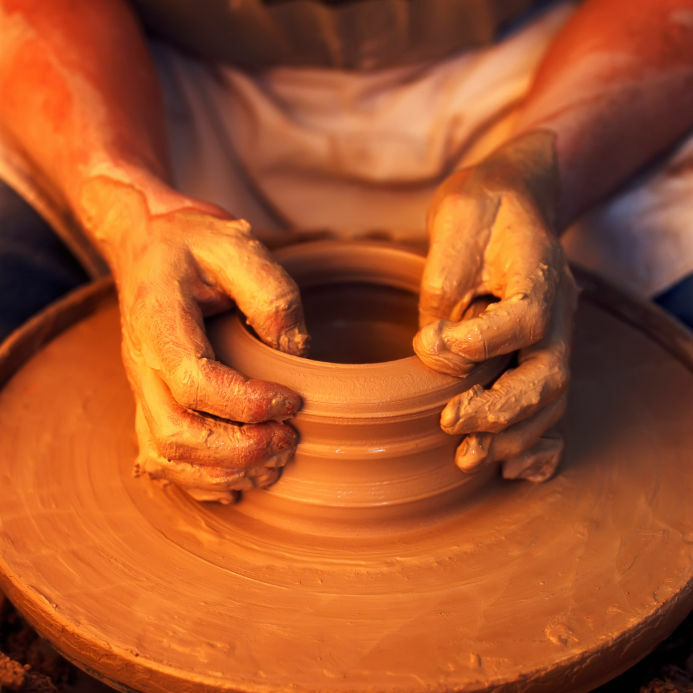 God gifted each of us with our own kind of creativity and the use of it is essential for our well being. A friend of mine once suffered with ongoing bouts of depression. He came to me for counseling about it. The Lord showed me that his particular brand of depression was attached to the lack of using his creative expression. He had become too busy to use his creative ability to write songs and draw, two things he enjoyed immensely. When he began to do those things again his depression lifted and a sense of joy returned to him. Not having a creative gift prominent enough to be financially lucrative is no reason not to create things. Making money at it is not the point. No one needs to appreciate your creative expression for it to be important for you to do it. Expressing yourself and enjoying the process is payment enough. You will experience the presence of the Lord when you create things. Let me explain. Eric Liddell was a Scottish athlete, rugby player, and missionary. The movie Chariots of Fire depicted his life experience as a runner in the 1924 Paris Olympics. He was called the Flying Dutchman. His devotion to the Lord was tested when he decided not to run one race that was held on Sunday. As shown in the movie he was asked about his love for running track. He simply yet profoundly responded, "I feel God's pleasure when I run!" That was his realm of creativity and he felt the kindness of God when he did it. Others did as well when he ran. You too can feel the presence of the Creator when you use the creativity He has given you. Donna and I watched the movie Jersey Boys, the story of the singer Frankie Valli and his group The Four Seasons. As the movie concluded and after the music ended I watched in surprise as a number of 70+ year olds literally danced down the aisles and out of the theatre. The movie reminded them of a joyful time in their lives and touched them so deeply that they danced in public when there was no music to dance to. And yet they were dancing to music, the music that resided in that creative part of their hearts. That is the power of creativity. It can even touch and release the joyful expression of youth, a force that laid dormant over fifty years. The creative expression they saw on the silver screen re-ignited something profound in their 70 year old hearts. It did the same thing for me. I went home wondering how I could capture eras of joy that might bless me and touch other people's lives. I got an idea from watching them dance to begin creating photo collages of things from my youth that have the potential to touch that same joy. Now I make art that includes photos of the athletes I loved and enjoyed from my youth. The very act of creating those collages has given me a number of ideas for other creative things too. That is the power of creativity. Doing one thing like that will release ideas for others. Go create something. Roll up your sleeves, get dirty, and get with it. You are created in the image of the One who created you. At the very least it will make you feel good.